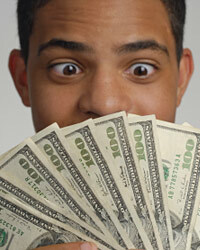 Are you thinking about getting an online payday loan? Are you wondering what the benefits of these types of loans are? The following list are some of the benefits of an online payday loan. Being an online loan, you don't have the hassle of going to a bank or even leaving your home. This convenience factor is why many people like online payday loans. You simply find a good online payday loan site and upload your information. The application process is usually quick. Most applications will usually only take about five minutes to fill out completely. You will usually get approval within a few hours or at least by the next business day. You don't have to have perfect credit. Most online payment loan companies will never check any documents. This makes online payday loans even more hassle free. All you need is a checking account for deposit of your approved loan amount. Online payday loans are perfect for when you have small emergencies and need a small amount of money. Most of these loans will provide you with any amount of money as long as it is between $100 and $1,000. You can set up the loan payment to be paid simply when you are paid next, as long as you are paid within 30 days.